Many folks in the retail segment are predicting a big shift in the way organizations are structured; the goal is to completely deliver on the omni-channel vision. There’s less of a need for a boundary between the e-commerce function and the remaining pieces of the organization. 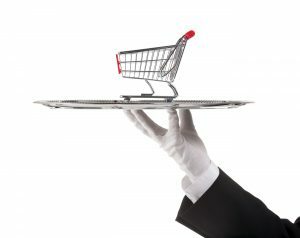 The people running the “traditional retail piece” of the business are learning more and becoming savvier in the digital marketplace. 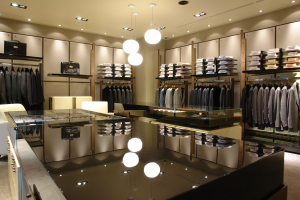 Bringing the two sides together will make sense for many corporate headquarters in retail. The two must complement each other well, and companies will realize this in 2016. The number of shoppers buying from multiple devices and through multiple channels will surpass the traditional in-person buyers. Omni-channel interfaces are no longer a nifty trick, but an expectation from your customers. As e-commerce continues to balloon, a number of larger retailers have invested heavily in new distribution facilities across the country in an effort to meet the demand and deliver products quickly, according to the Wall Street Journal. For the smaller distributors in the world, this creates a squeeze on resources including trucks, space on trains and a shrinking pool of people willing to work at the warehouse. It can be challenging to find workers in distribution; this could gum up the works even in the smoothest running logistics business. Undaunted by the squeeze on resources, retailers will strive to compete with giant online sellers by using their stores as fulfillment centers. Some bleeding-edge retailers will attempt to use self-driving cars in hopes of averting the expense of free shipping and returns. Retailers, distributors and logistics providers will continue to find better ways to simplify their services and streamline scheduling. It will no longer be good enough to have the employees working in shipping handle all distribution to stores. Sales, marketing, supply chain and store managers will all need to have a say in decision making when it comes to logistics. The squeeze on resources, management, new technologies — it’s all changing and moving ahead at light speed. Preparing for change, constantly improving and staying flexible in 2016. A logistics provider with a wide-range of services will serve as a great partner for your business. For more information about the services we provide, click here or call us at 1-800-547-4324! Smart retailers leverage numerous channels to provide the best possible experience for customers. It’s not a new idea anymore, and to meet the needs of today’s consumer, you need to understand where they live both online and in-person. 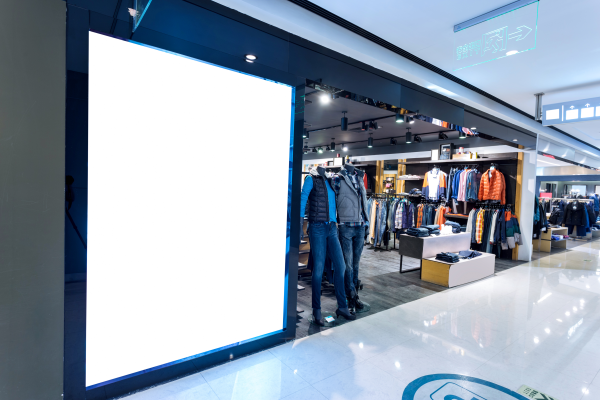 Research tells retailers what messages are needed for online shoppers versus brick-and-mortar guests, but at some point, the store needs to acquire the ability to deliver product where the customers live in their own little shopping worlds. So while your marketing spreads out to all the places where customer hangs out, the logistics function needs to be equally as agile. More channels and delivery methods means a more complicated process that needs to be managed. This can lead to added costs and potentially expensive mistakes if the supply chain management is not reliable. 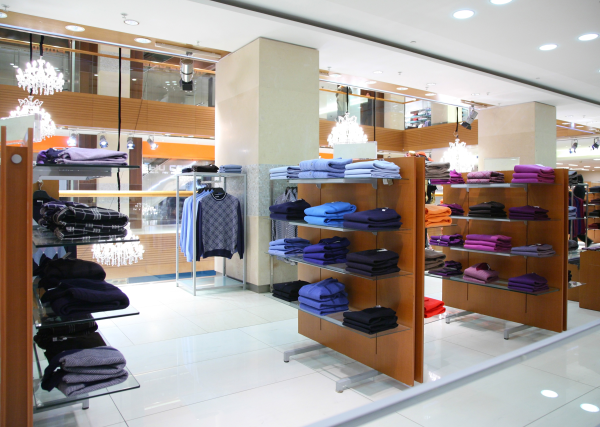 Strategically, the execution of the supply chain function is the heart of the retail business. If the business can’t deliver, it can’t collect the money on the product. Make the investment! – If the heart of your business needs attention, don’t cut corners. You wouldn’t look for a do-it-yourself option for your own heart and you shouldn’t try to pull that off the heart of your business. Who is there if something goes wrong? Considering all the responsibilities put on your staff already, time for fixing supplier issues just doesn’t exist. 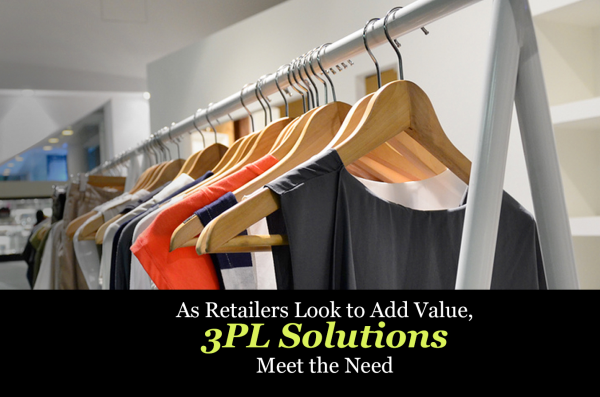 Enlisting the help of a resourceful 3PL partner can certainly lighten this load and put it back where it belongs — with the supplier. 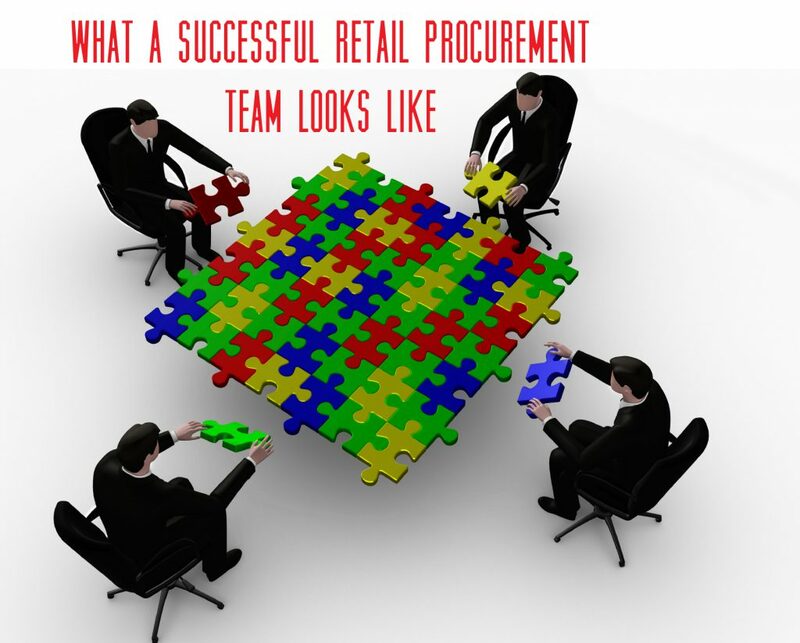 Many times the supplier and 3PL can anticipate an issue and make it disappear before anyone involved with the retail business is even aware. A vanishing issue is best kind of issue. This illustrates a role the 3PL can assume and become a true partner of the business. One eye on costs – Shipping and final delivery costs are anything but static and, for many retailers, the cost of shipping can even exceed the cost of the product being shipped. A well-established 3PL service can analyze into the future, anticipate a rise in shipping charges due to outside pressures and make decisions to mitigate the increase. They actually bring expertise in contract negotiation and management to your team. At the very least, the 3PL provider can give some advanced warning in time to make a price adjustment or shift to another delivery method. Complete services – The white glove 3PL can add as much service or as little as needed. When new stores open or capital improvements are being made , it’s well worth the cost to have a logistics provider deliver, set up and haul away waste from the shop so store managers and employees can move right to sales. A wealth of service from a single provider is exactly what STC Logistics can bring to your business. If you’ve been considering adding a complete logistics and supply chain management service to your operations, take a look at our specialties today by clicking below! The cosmetics and fragrance industry enjoys success with a well-established foundation built over decades. As other well-established businesses struggle through the internet age, cosmetics and fragrances can take advantage of the opportunity to actually thrive. And they are thriving. Cosmetics and fragrances typically enjoy high margins and low ship-to-weight ratios, making this a great industry for e-commerce and that’s the end of the funnel as companies work to pass customers through social media, right? Retail fragrance and cosmetic companies are aware of the value of social media and must continue to evolve with the ever-changing platforms to keep ahead of competition. Don’t think about research in the same boring way a scientist in a lab might approach the topic. Buyer research in the cosmetics industry (and many others) takes place in the form of simple conversations. The ability of a cosmetics or fragrance company to provide and respond to a channel can have a huge affect on sales. Feedback forums and social platforms offer customers a place to go if something is not right or if they have a question. While this may not be directly transactional, customers who use responsive forums will feel more secure with their purchase knowing they can ask questions. This can play a critical role in shaping the transactions going forward. Another age-old and successful strategy for the cosmetics industry involves the product endorsement. Long ago movie stars, singers and other beauties have endorsed makeup and fragrance to boost sales. This strategy continues to work well. Social media only serves to amplify the product endorsement as now the company can leverage their own media channels in addition to the channels owned and updated by the superstar endorser. The online audience can quickly expand by millions with the addition of the right person. Those imminently recognizable figures have also helped extend reach through video channels such as YouTube. Those classic television spots still matter, but again, successful companies such as L’Oreal see no reason to stop with traditional commercials when they can keep extending their reach and start a conversation with potential customers while they watch videos. As annoying as it may be to some, there’s even the potential to gain the endorsement of the “social media celebrity.” Yep, we’re touting the value of the Kardashians and it makes sense. Celebrities with an excess of 16 million followers on their social media channels offer an attractive endorsement. Kendall Jenner and her famous sisters give big companies the chance to simply buy followers (and a lot of them) rather than jumping in and competing in the same crowded space. It could take years for a cosmetics brand to drum up that type of following. Social media platforms such as Facebook and Twitter offer user-friendly paid advertising opportunities to businesses of all types—but these opportunities are especially effective for the retail world. Fragrance and cosmetics retailers can use paid ads to increase their following on social platforms, drive traffic to their websites, build buzz about a product or sale. These platforms allow you to run ads based on detailed demographic information to ensure the ads are reaching the right audience—and then gives you insight as to how ads are performing to continuously improve campaigns. STC Logistics specializes in logistics services for retailers such as fragrance and cosmetics companies. To learn more about our retail logistics services, click below! Developing and executing effective retail rollouts and distributions require detailed planning to create a solid foundation for success. It is critical that all parties are strategically aligned for a rollout to be successful and the logistics plan to be effective. There are several strategies that can better streamline rollouts and distributions when ensuring a timely and superior program. There are three primary strategies that should be followed to guarantee successful retail rollouts and distributions. These strategies include risk management, scheduling and project optimization. As with all business practices, retail rollouts and distributions require a variety of decisions throughout the entire process. Every decision contributes to the success or failure of the project. Therefore, to ensure that correct decisions are made, all potential scenarios must be anticipated, communicated and assessed with regards to risks and benefits. These decisions effect cost, timeline and quality of the retail rollout. To successfully implement the risk management strategy, it is critical to evaluate all risks and compare them with the benefits. This process comprises taking risk information and organizing it into a useable format thus allowing team members to be ahead of any issues that may arise. Then, take the implications and evaluate them to determine a risk-to-benefit situation for rollouts and distributions. Another critical strategy is implementing correct scheduling to ensure milestones are met for the rollout and distributions timeline. It takes a specific amount of time to properly complete each task. Timelines for launches, revenue deadlines, marketing campaigns, lease payments and a number of other factors can affect timing, presenting a challenging situation in which those involved are expected to complete the work under tight deadlines. This increases risk in that the quality of the work may be substandard and can lead to errors or missing timeline milestones. To mitigate this issue with a proper scheduling strategy, it is important to have confirmation from all parties on the amount of time for each to complete their required task. This allows them to be held accountable for completing the work on-time and with the highest possible quality. This strategy is fundamental in managing expectations and delivering the best opportunity for success with rollouts and distributions. Searching for project optimization methods during the retail prototyping phase relies on a variety of factors. First, they are required to develop the identity of the brand. This includes materials, colors, environment and feel; all of which help to build or maintain product identity. As a result of time restraints, the designer cannot analyze every option and not all processes can be optimized from the beginning. In some instances, the products may not be available at the time of the prototyping due to long lead-times or could only be available through select suppliers. Therefore, a project optimization strategy must rely on value engineering, an organized process for cost reduction while minimizing performance impact. This piece is commonly integrated with the entire design process and should be a factor that the designers are constantly considering. Processes must be streamlined and the result is efficiencies that equate to cost savings and overall improved rollouts and distributions. Risk management, scheduling and project optimization are three vital strategies that can be implemented to maximize rollout and distribution success. These three approaches anticipate issues, streamline the process while improving accountability and save on costs. These are typically three areas that fail during rollouts and distributions if not properly planned at the beginning of the project. STC Logistics specializes in solutions to streamline the logistics process for rollouts and distributions. To learn more about our retail specialties, give us a call at 1-800-547-4324 or click below. 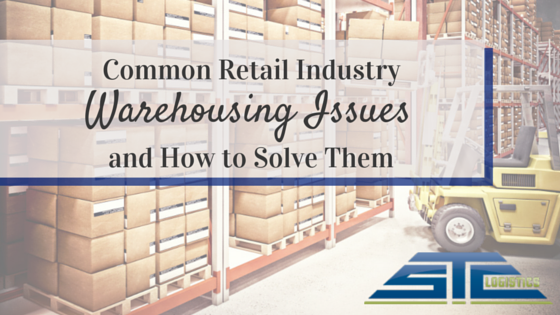 In retail planning, it’s critical to have freight shipments arrive on time. 3PL providers like STC Logistics utilize an infrastructure based on state-of-the-art technology which recognizes an impeccable route for each specific shipment. 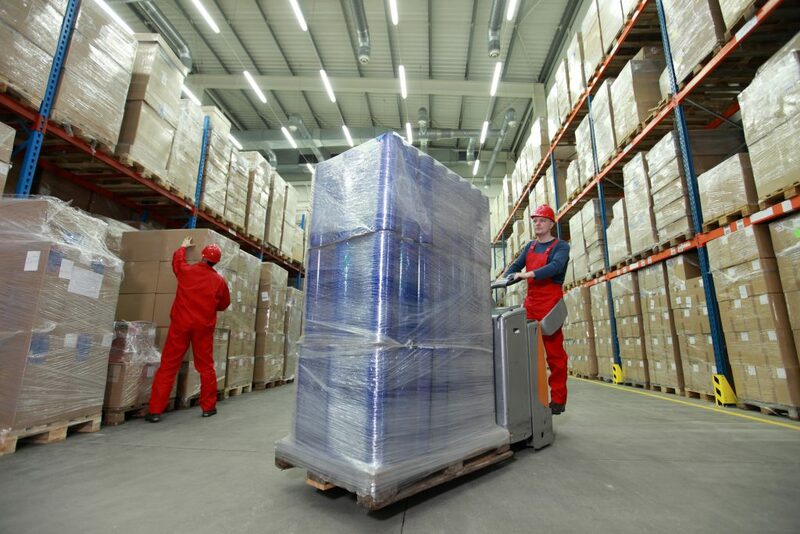 The needs of freight shipments are handled and processed by high speed machines, ensuring superlative delivery times. Experienced 3PL providers communicate with affiliates from all over the world in order to consider each possible mode of transportation before deciding on the quickest freight shipment route. 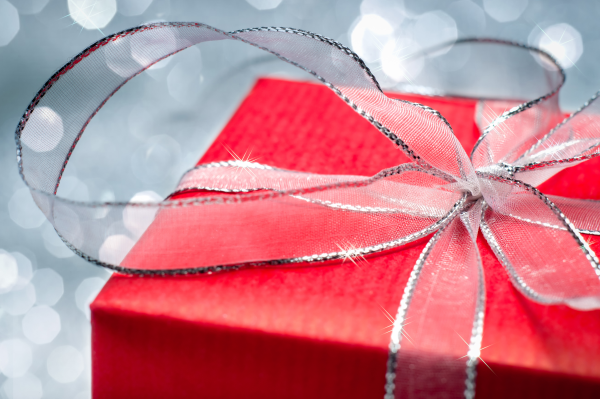 Utilizing a retail-specialized provider during holiday freight campaigns begins with computerized recognition of efficient routes with economical rates and ends with precise timing for delivery arrival before the holidays. Distance, equipment, handlers, consolidation and deadlines factor into freight shipment prices. Retail-specialized 3PL providers analyze each freight shipment with a customized rate program to ensure that the most amicable and economical rates available are offered. Optimal logistical efficiency means money is saved in every possible way while the fastest freight shipment routes are taken. Freight may be combined in order to provide additional saving opportunities during the process of transportation for retail planning. Individualized electronic rate quote numbers are created when a freight shipment is rated and this number is used to reference pricing when freight is booked and tracking numbers are generated. This enables the rates and routing to be exact. Multiple rollouts, destinations or assembly services are no issue with STC’s Electronic Logistics Format (ELF). It is a proprietary service which STC Logistics utilizes in order to give clients the advantage. It has been specifically designed to provide an awareness of information between all involved parties during the distribution process. Customized rollouts are drafted, many containing multiple destinations for distribution, along with pieces, sizes and weights and then the spreadsheet for a freight shipment will be received by means of EDI transfer. Updates and changes are simply made and reviewing an entire program now becomes straightforward. Before the very first pickup is made, outlined instructions that detail requirements for pickup and delivery will already have been prepared and awaiting client approval. Once approved, the ELF will be published to a custom mini-website accessible to clients through the STC Logistics client portal. Status updates are easily viewed, tracking is in real time and reports are easily manufactured. Receiving holiday freight shipments this season in a timely and cost-efficient manner by utilizing STC Logistics enables distribution that is stress-free. Retail planning requires research when partnering with a logistics provider in order to grant an overall flawless process in retail planning. Having a 3PL provider facilitate freight shipments guarantees an enhanced and well-researched process for finding available logistics. 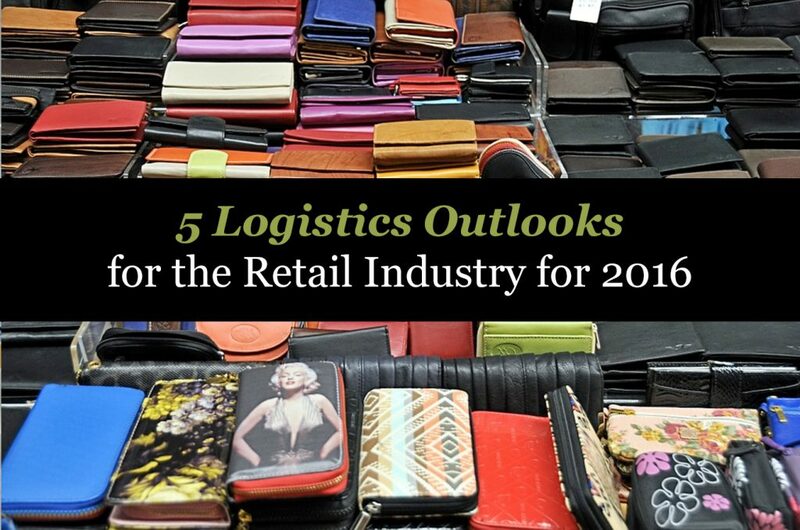 Placing an emphasis on the process of retail planning before the transportation plan occurs enables retailers to confidently be assured of the quality they are receiving during a freight shipment. Providing easily accessible status updates and paying sufficient attention to concerns with detailed instructions ensures optimal efficiency during the shipping process. STC Logistics has established an impeccable reputation throughout its 45 years of experience as a 3PL provider. 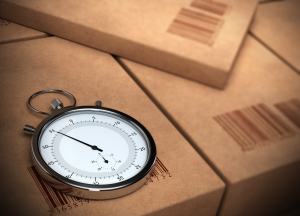 We offer unbeatable freight shipment delivery times on land, air, and sea—all while enhancing a client’s retail planning process. Our unrivaled technology and catered retail planning programs ensure time and money are saved during the transportation process. Additionally, with a damage rate of less than 1%, our customers can feel confident their shipments will arrive in pristine condition ready to be stocked for the holiday season. Sensitive freight requires top-notch logistics solutions—especially in the retail procurement and pharmaceutical industries. One way to make sure delicate freight makes its journeys end, intact, is by utilizing white glove services. These specialized logistics services ensure utmost precision and include real-time freight tracking, lift-gate services, special handling care, and additional staff/drivers on hand for last-minute, unforeseen events. 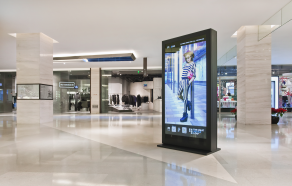 For example, planning a national, time-sensitive retail product campaign requires high-quality logistics services to make sure displays and merchandise arrive to all locations undamaged and on time. White glove solutions offer helpful services like inside and floor delivery, as well as product placement. Installation and assembly services are also available with detailed instruction to get a campaign up and running. In the pharmaceutical industry, white glove services are necessary for many clients because temperature-controlled environments are needed for most medical freight. Specialized handling and satellite shipment tracking are also available to clients to have complete transparency during the shipment process. STC logistics specializes in white glove services for the retail and pharmaceutical industry, but serves clients in industries across the board. While customer retention remains a top priority, our services are driven by maintaining the highest-quality logistics solutions. Our pride is derived from the ability to safely deliver your freight, whether it’s to one location or hundreds. To learn more about our specialized white glove services, call STC Logistics at 1-800-547-4324 or visit our website today.